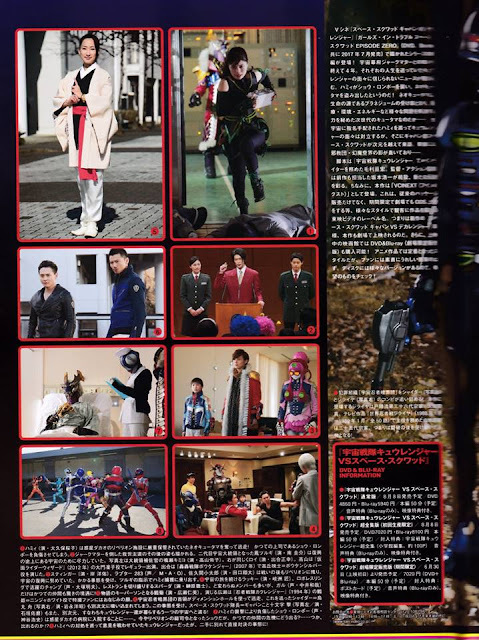 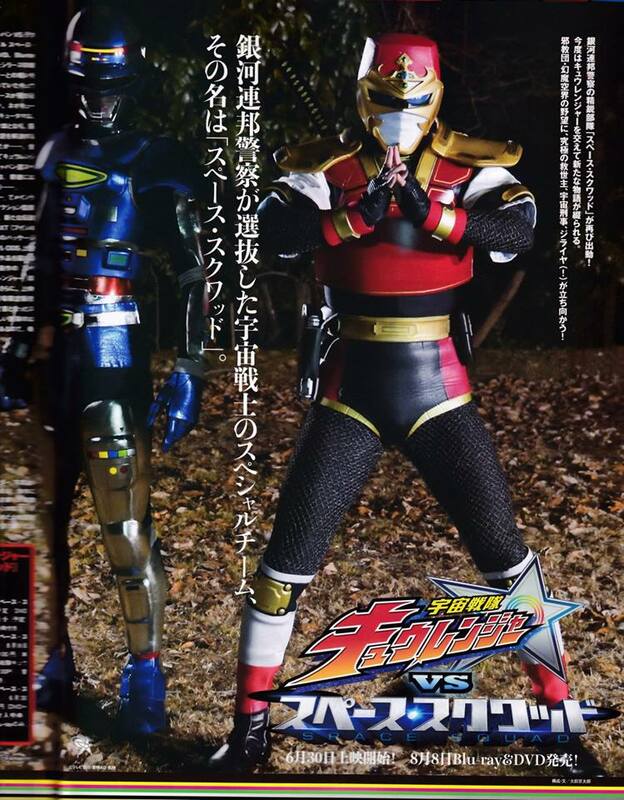 Check-out this all new Uchuu Sentai Kyuranger VS SPACE SQUAD magazine scans featuring Space Sheriff Shaider and Global Ninja Jiraiya plus more action scenes from the upcoming movie! I get a feeling that Jiraiya is just going to have the one scene and nothing else. Also, I really want to care for this movie, but it just feels like a Kyuranger Returns but with Gavan and Shaider, I think the only thing that'd make the plot more interesting is if it was Garu instead of Hammie.